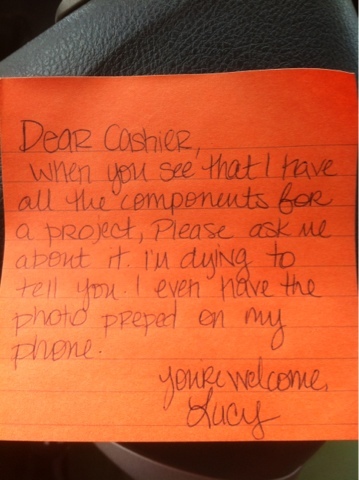 If I pretend to be a cashier, will you tell me what you're crafting? Cuz I wanna know! Of course! I'll even show you all the components!